Travelers can also try Pho at small shops along the streets. Just go down streets in the morning and look for a place that you see a crowded of local people gathering around having Pho as their breakfast. Phở is truly an amazing breakfast treat that will not break your bank. Pho Bat Dan at 49 Bat Dan street, Ha Noi. Pho Co Cu on Lieu Giai street, Ha Noi. Pho 10 Ly Quoc Su street, Ha Noi. Pho Cuong at 23 Hang Muoi street, Ha Noi. Pho Thin, 13 Lo Duc, Ha noi. Pho 112 Van Phu street, Ha Noi. GiaAn at 25 Thai Phien street. Banh Cuon Gia Truyen Hanoi is great at all times of the day and most popular with the locals for breakfast. Dac Kim restaurant: 1 Hang Manh street, Ha Noi. 74 Hang Quat street, Ha Noi. 153 Mai Hac De street, Ha Noi. 29 Hoang HoaTham street, Ha Noi. 75 Ma May Street, Ha Noi. 59 Hang Ma Street, Ha Noi. 1 Hang Manh Street, Ha Noi. How many? One or two? (một or hai). If all else fails, just hold up the right number of fingers. You just need to say bun cha. You can also order your drink – tra da, or iced green tea, is a must-have! Hanoians usually eat bun oc for breakfast or lunch, particularly in winter. When it gets cold, it is hard to imagine anything more delightful than slurping down a bowl of steaming hot and spicy soup with the chewy but tasty snail in it. This dish has a singular sour taste from thickened vinegar and charming crispness of very well processed snail (so don’t worry about getting a sore stomach). Bun oc is accompanied by a variety of fresh vegetables and herbs like lettuce, coriander, perilla, knotweed, and basil. Though it has boiled snail as its main ingredient, you can still feel the elegance when eat Bún ốc with fired tofu, scalded tomato and raw vegetable. 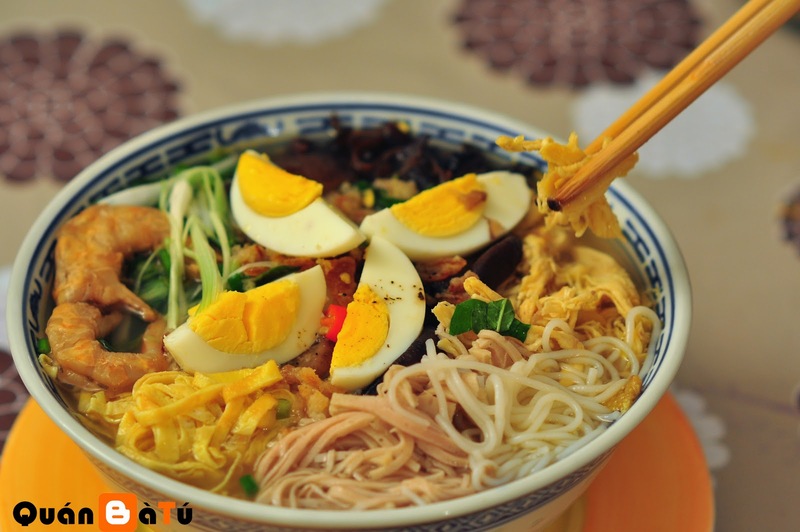 Because this is a popular dish of local residents, it is sold everywhere on the streets and restaurants at only 20,000-30,000 VND for a portion. Madam Lương at 191 KhươngThượng Street, Hanoi. 73A Mai Hac De, Hoe Nhai Street, Hanoi. 54 Doi Can Sreet, Hanoi. Bun Oc at Madam Luong has a sourish flavor of vinegar and a brittle flavor of snails, fried tofu, and raw vegetables. A dish of Cha Ca La Vong usually costs 120,000 VND/ person (Not included drink). The fish was tender and loaded with turmeric. The rice vermicelli is smooth and slippery and a great base to carry the nutty turmeric-laden oil with sweet and sour fish sauce. Tip:The restaurant is always crowded at night.. If you don’t want to wait for too long, you’ve better have it for lunch. Cha Ca La Vong restaurant has been regarded as one of the oldest restaurants in Ha noi sold Cha Ca, the Ha Noi's speciality. Banh Tom Ho Tay restaurant is famous for its fried shrimp (banh tom) and is located on the bank of the west lake (ho Tay). Hot egg coffee is an appealing drink to those looking for something different that not often advertised as other foods in Viet Nam. It is just originally a Vietnamese Cappucino but what sets it apart is the yolk cream. This coffee is normally served in a small and short cup. Sipping a cup of hog egg coffee in a tiny, casual vendor is truly a local experience that you shouldn't miss. Giang Café is humbly hidden on a small lane on Nguyen Huu Huan Street in the city’s old quarter. It may be difficult to find for visitors, but it is well worth the effort. Bia Hoi Ha Noi is a classic Vietnamese beer garden, perfect for a late sunny afternoon. Bia hoi is a special type of homemade beer, unpreserved, brewed daily and delivered in kegs to local businesses. Unlike canned or bottled beer, bia hoi should be consumed the day after it leaves the factory. It’s brand-less and very cheap compared to Western-style beers. Ngoc Ha Bia Hoi: 19C Ngoc Ha Street, Ha Noi. Tips: One of the problems with Ta Hien street is that it is opened in the early afternoon and seem to run out of bia hoi only 4 or 5 hours later, you can be informed that no beer is available. Bun Thang at 13 Gia Ngu Street, Ha Noi. Bun Thang 59 Hang Luoc St, Hoan Kiem, Ha Noi. Bun Thang 28 Lieu Giai St, Ba Dinh, Ha Noi. 144 D2 Giang Vo St, Dong Da, Ha Noi. Thuan Ly Bun Thang: 33 Hang Hom St, Hoan Kiem, Ha Noi. Xôi Xéo is sticky rice topped with ground de-hulled mung bean and fried onion. Sometimes it can be served with eggs or steamed chicken breast on request. A warmly large portion of “Xôi Xéo”, wrapped in banana leaf and old newspaper. A pack of Xoi xeo without chicken at about 15,000 - 20,000 keeps one full until late noon. Have it with a glass of soy milk and you have more energy than a box of granola bars! Eating at Xôi Yến Restaurant along Nguyen Huu Huan Street is a must for those visiting the Old Quarter in Hanoi. Your trip to Ha Noi will be full of joy and satisfaction if you take time to enjoy all of these above suggested specialties. Pack your stuff and go ahead and take this list with you. You can join Street Food Walking Tour with locals. Price from: 25 USD.